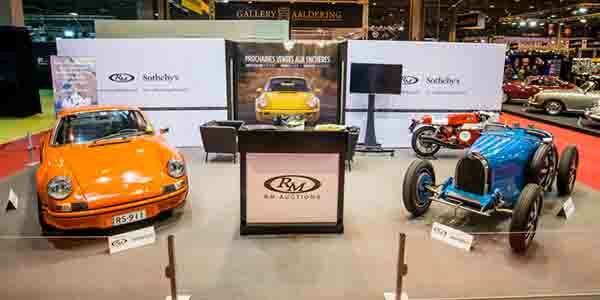 In addition to presenting an outstanding selection of motor cars to be sold at Place Vauban in Paris, RM Sotheby’s treated visitors to Rétromobile with an advanced viewing of two wonderful and highly significant cars. Featuring on the stand is a stunning Bugatti Type 51A, one of the most iconic Grand Prix cars of all time, alongside a highly collectable and incredibly original 1972 Porsche 911 2.7 RS Lightweight, which forms part of a small single-owner collection of significant Porsches to be offered at the Monaco sale on May 12, 2018 during the Grand Prix de Monaco Historique. 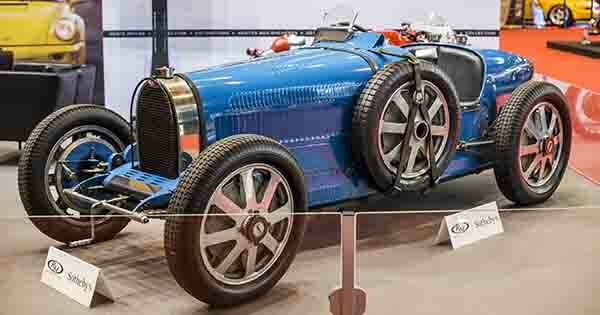 In French racing blue, the 1933 Bugatti Type 51A, chassis no. 51154, boasts an exemplary provenance, having passed through the hands of some of the world’s leading and most respected collectors. The car was first registered by Automobiles Ettore Bugatti at Préfecture du Bas-Rhin on July 4, 1933. During its life, the car was extensively raced by no less than René Dreyfus, Claude “Barowski” Bossu, and in more recent times has competed at the Goodwood Revival and the Grand Prix de Monaco Historique. The car returns to the Principality this spring. Undoubtedly the jewel of the early Porsche 911 range, any 2.7 RS Lightweight is a special car. But when such a car is in exceptional and totally unrestored condition and with outstanding documented provenance, it is surely a prized car to be coveted by any serious collector of the Stuttgart marque. Chassis no. 9113601177 was delivered new to racing driver Leo Kinnunen while he was driving for Porsche in a fearsome Interserie 917. Kinnunen contested the 1000 Lakes Rally in 1973, and he used the 2.7 RS in preparation for the demanding event. 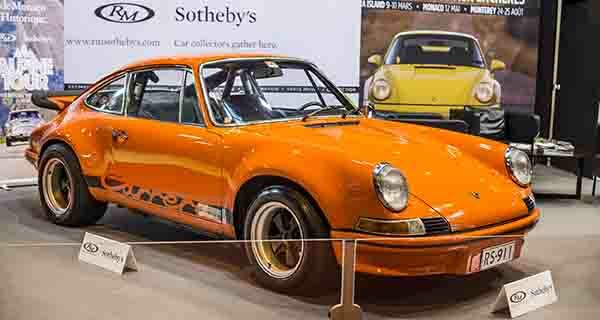 Finished in Tangerine with a black interior, the car is also notable for being fitted with a prototype whale tail rear spoiler and also features ST flared arches, which were fitted by Porsche at Kinnunen’s request.